I'm a simple woman. I love my husband and my cats. I love Patsy Cline and nice tall glasses of iced tea. I love walking through Manhattan in the rain and red shoes. I love Reuben sandwiches. I mean it is a sandwich that includes sauerkraut and rye bread. . . brilliant. But even the happiest cowboy sings a sad song. When it comes to Reuben sandwiches for me it is the 1,000 island dressing. Even when I wasn't vegan that stuff skeeved me out. 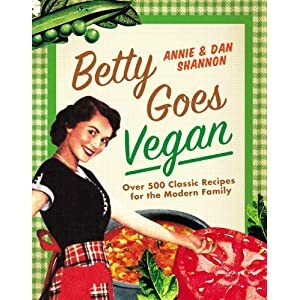 So needless to say when I made my own using an adapted version of Betty's recipe I was pleasantly surprised when I kinda loved it! I don't think I'll be dumping it on any salads anytime soon but I do promise from this moment on all my Reuben's will include this tasty condiment. In a small bowl mix all the 1,000 Island Dressing ingredients and store tightly covered in the fridge till you're ready to serve. Put the slices of Rye Bread in the oven to dry out the bread a little to help keep it from getting soggy. Put Braggs in a shallow bowl and dip Tofurky Deli Slices in it to give it a but more of a corned beef/pastrami flavor. Take Rye Bread out of the oven and stack one slice with Tofurky Deli Slices and Sheese Slices. Sheese on top. Put both slices of Rye Bread back in oven. Turn oven up to 350. Remove from the oven in about 5 minutes - when the bread is a desired toasty-ness and the Sheese is melted. Put 1,000 Island Dressing on the slice with no Tofurky Deli Slices and Sauerkraut on the side with. Put them together. 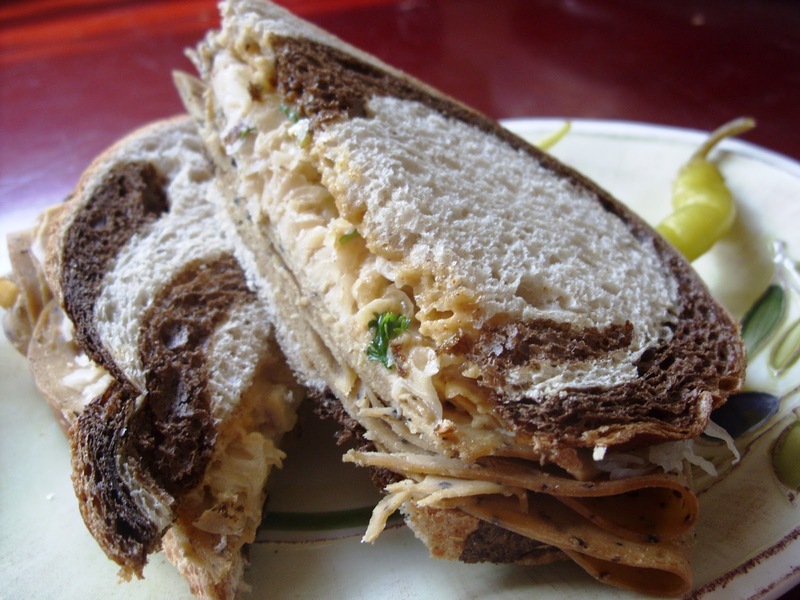 You now have a vegan version of one the greatest deli sandwiches ever! But really anybody who has ever walked off the C train knows - you need a slaw to really make it work. In a very large bowl mix all the ingredients except Cabbage, Carrots and Red Onion with a hand mixer until completely blended. Add remaining ingredients and toss till everything is evenly coated. Cover and store in the fridge for at least an hour. Stir again before serving. Then put on an all time favorite movie - a Ghostbusters or True Romance - and enjoy how awesome life can be. I could NOT be happier that a vegan Reuben exists, being an Irish Chicago girl and all. And I'm a huge fan of anything that includes this much cabbage. This will undoubtedly become my new St. Patty's day lunchtime staple. sauer kraut is my least favorite thing in the world but i'll be damned if that sandwich doesn't look fantastic. My friend just linked me to this--thanks so much! Growing up vegetarian with Indian parents, I never realized how little Western cuisine accomodates vegetarians until I started cooking for myself. Reubens are really good with a vegan veg burger too! the traditional reuben sandwich has russian dressing on it, not 1000 island. I just made this tonight and it is EXCELLENT!! Thank you so much! !